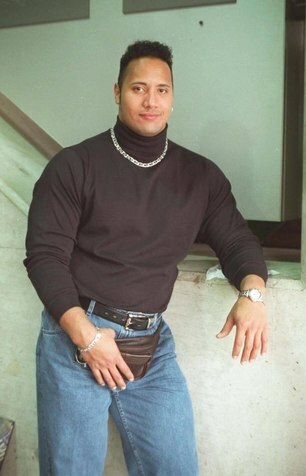 no need for pockets, be like Dwayne . . .
Rocking that MV1 fanny pack. So, can we get an update from Ghost on stock/availability? I feel like they should know by now, whether or not they will be able to deliver this month...the vapes should be done and about to ship to the warehouse right? I've tried to get an answer on the "advanced" shipment and is that's still a thing or not? Any news Bud? I just hope if not now, that it's still gonna be within the end of this month. That would be really f**ked up if not. The crucible cleaning part with ISO soaking is a point away for the mv1 tho. Yeah, if the shipment is delayed again, I might waiting furthermore for official info about mighty/crafty 2. Is it confirmed that mighty 2 is coming out? why is soaking the Crucible a negative? Soaking the Crucible is far easier than trying to clean the Mighty/Crafty Cooling tops, which your not supposed to soak in ISO or at least not soak them long so it makes cleaning harder, plus there are so many nooks and crannies in those tops, especially the Mightys top. It looks like the MV1 Heat sink and Crucible should be easier to clean than the M/C Cooling tops because all the dirty parts can soak nice and long and there aren't all the crevices. I hope there is a Mighty 2/Crafty2 coming soon but I'll bet it's gonna be awhile. It took 7 years for Storz and Bickel to release a digital version of their Volcano and another 7 years after that to release the Crafty / Mighty....The Plenty came out only 1 year after the Digit, so maybe there could be hope?!? Is this a rumor or where did this Crafty 2 / Mighty 2 idea come from? The Ghost site says by the end of August for their App. and the availability of the MV1's, so that's semi reassuring.....? I really hope they will be shipping to us this month, we're at the half way mark through August and that's a lot of time to make it happen. There are supposed to be quite a few new vapes coming to the market in the next few months / Fall of 17, so it would be in their best interest to get these vapes out before we're tempted to buy something else: Vapium MNML - Fall, Haze Square and Merger - ?? ?, Indica 2 vape (s) - Fall, Boundless CFX2 - October, CFV2 - ?? ?, BNDLS Desktop - ?? ?, Crafty 2 and Mighty 2 - ?? ?, Pi-Piper - Fall ?? ?, etc...I really want to see the Grasshopper 2! 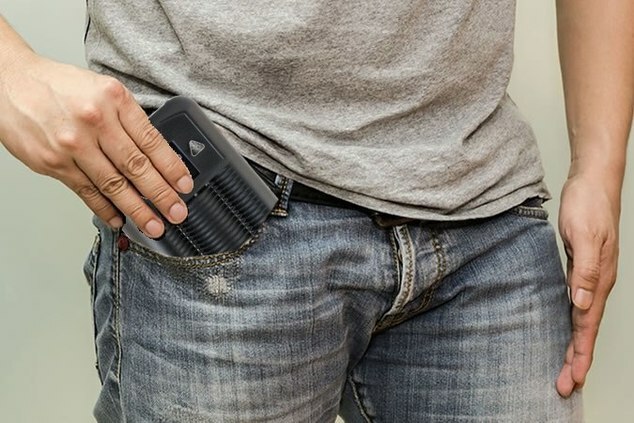 Longer battery life, more temp control and cooler vapor! Not only isn't it confirmed....its based on the flimsiest reading of the tea leaves. Nobody knows anything or if they are, they aren't saying. My gut says that MV1 orders won't start before September. They should probably know at this point if they'll be able to take orders before then. I will be sending out an email to all forum members when I know for sure that the MV1 will be going on sale. If you're signed up here then you'll get the email (check your junk) but I would also just check here regularly because I'll be posting easy to find updates here as soon as I have more info. As of right now I haven't been notified of any delay but I will post future updates here the second I get them. Thanks Bud, glad to hear something. getting excited again and I hate this part.......We are so close to the end of August and could be just as close to having an MV1 in our hands or it could be the end of September. About the delays. I have no inside knowledge but it sounds like it might involve improving/upgrading a part or design before they run production. I know that GH had to solve more than a few problems that pushed its release back years (I waited 29 months for mine.) One of the major headaches they want to avoid is a massive RM and service log (like GH had on their initial run). Any idea how this will go down after your email? Will those of us that reserved a color also get emails from Ghost? Should I Sign up in advance at the Ghost web site for payment and shipping (I noticed that was an option)? Or should I just chill and let it all come to seed? Ikr dude, I was looking at their site and reading all the stuff it can do last night (100+ hits off one charged battery...*swoooons :-* *) and after seeing Bud's videos just got me drooling all over again. And now instead of the satin silver, I have this crush on the nickel finish. I just really hope they can stay on track and get the vape in our hands at the end of this month. I haven't seen any changes yet about that, so I assume we'll be able to own one soon. ditto, I was sure on the satin silver then considered the black but now I'm really liking the nickel too. Anything but Rose is basically where I'm at. Really hoping we see that app soon....if we don't see it soon, could be an indicator that there may be a delay. I'll take mine without the app! There's plenty of gaping I can do with the stock ssettings before I need the app. Yeup! We both thought the same "anything but the rose gold". And yes that's a good point about the app, if that's out, then we can for sure count on the Mv1 to follow right into our homes... hopefully. I keep thinking bout the fun times imma have with this vape lol...mmm and that spectacular flavor and on demand vapin. I wonder if Bud still feels the same way about it at this moment and if so, I hope we all get one built to please just like his lol. Be damned if I get a fked one. GHOST if you're reading, please make us happy And proud!! That Dang MV1 is so hot, it will make a dragon want to retire. Does the "M" and "V" MV1 stand for anything? What are the coils made of? Still haven't gotten an answer on this....at least I don't think.